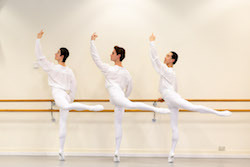 Nominees of the 2018 Telstra Ballet Dancer Award. Photo by Alexandra at Jam On Your Collar. 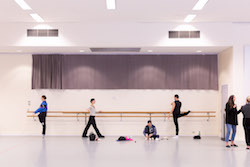 Six dancers with The Australian Ballet have been announced as nominees for the prestigious Telstra Ballet Dancer Award 2018. 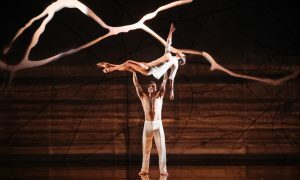 Now in its 16th year, the Telstra Ballet Dancer Award is one of the longest-running arts partnerships and most prestigious ballet prizes in the country. 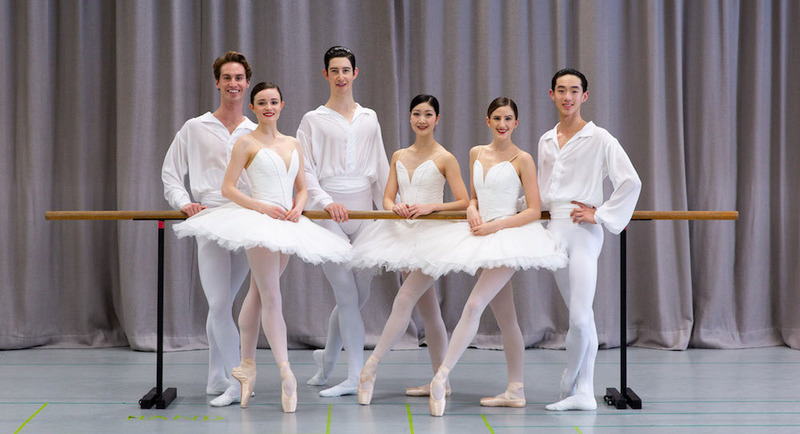 Seven former winners of the award went on to become principal artists of The Australian Ballet. The six nominees for the 2018 award are Coryphée Corey Herbert, Soloist Brodie James (also a 2016 nominee), Senior Artist Jade Wood (2014 and 2016 nominee), Corps de Ballet Lucien Xu, Soloist Rina Nemoto (2014 nominee) and Coryphée Nathan Brook. 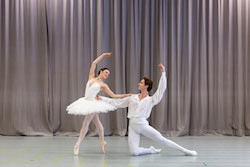 The winner of the Telstra Ballet Dancer Award will be chosen by a panel of judges from Telstra and The Australian Ballet and announced at the opening night performance of Cinderella at the Sydney Opera House on 30 November. The winner will receive a $20,000 prize from Telstra. Here, get to know a bit about the talented nominees and how they would spend the prize award if they won. 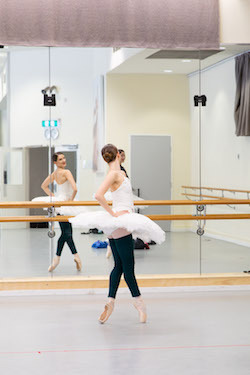 What does it mean to you to be a nominee for this year’s Telstra Ballet Dancer Award? Corey Herbert and Lucien Xu. Photo by Alexandra at Jam On Your Collar. Jade Wood and Nathan Brook. Photo by Alexandra at Jam On Your Collar. How would you spend the prize award if you won? Rina Nemoto. Photo by Alexandra at Jam On Your Collar. Brodie James and Rina Nemoto. Photo by Alexandra at Jam On Your Collar. “In Japan, we don’t have a ballet school like The Australian Ballet, and so many young dancers want to be professional ballerinas. When I was little, I was lucky enough to be given the opportunity to take class by professional dancers and guest teachers. I remember I was so excited to take their classes, and I leant so many things from them. Now I want to share my experiences with young dancers and support them through their dancing career. So with this prize, I wish to do winter school in Japan over my holiday time. Brodie James, Nathan Brook and Lucien Xu. Photo by Alexandra at Jam On Your Collar. 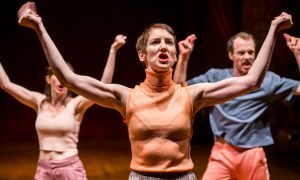 Is there anything you’re working on artistically or technically as a dancer? 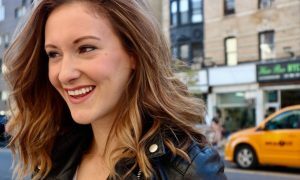 Things you’re working on or hope to achieve this coming year? Corey Herbert. Photo by Alexandra at Jam On Your Collar. Jade Wood, Rina Nemoto and Corey Herbert. Photo by Alexandra at Jam On Your Collar. “As a dancer, I work on improving myself every day. Each performance is very important for me, and I can be very strict with myself. Last year, I performed the role of Alice in Alice’s Adventures in Wonderland. It was such an amazing experience, and I gained so much more confidence after dancing this role. At the beginning of the rehearsal period, I experienced a bit of struggle. As it was my first main role with the company, and I was thinking about acting and practicing technical stuff a great deal every day, trying to make my own story within the role. But at the end of the day, on stage I just trusted myself and trusted my partner and followed my heart. I still have lots of improving to do, but I thoroughly enjoyed the show, and it was of my biggest career highlights. Now I know that if I never give up and continue to work hard at improving myself every day, I can do anything.